SummerHill Secrets, vol. 2, repackaged ed. Set in Pennsylvania’s Amish country, SummerHill Secrets follows fourteen-year-old Merry Hanson as she navigates the struggles and triumphs of life and faith. Volume Two contains House of Secrets, Echoes in the Wind, Hide Behind the Moon, Windows on the Hill, and Shadows Beyond the Gate. SummerHill Secrets, vol. 2, repackaged ed. 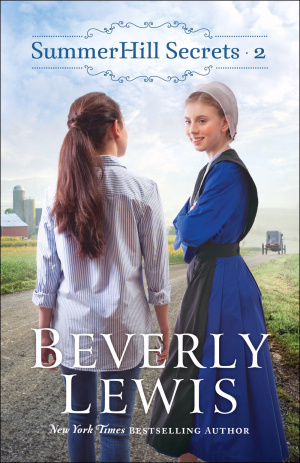 by Beverly Lewis is published by Bethany House and is our 7146th best seller. The ISBN for SummerHill Secrets, vol. 2, repackaged ed. is 9780764231049. Reviews of SummerHill Secrets, vol. 2, repackaged ed. Be the first to review SummerHill Secrets, vol. 2, repackaged ed.! Got a question? No problem! Just click here to ask us about SummerHill Secrets, vol. 2, repackaged ed.. Details for SummerHill Secrets, vol. 2, repackaged ed.